The Ford government has fired the outspoken Ontario Provincial Police deputy commissioner Brad Blair. Blair has been a fierce critic of the Progressive Conservatives' appointment of Toronto police Supt. Ron Taverner as the next chief of the OPP. He was fired Monday morning. Blair is asking an Ontario court to force the province's ombudsman to investigate the appointment of Taverner, who is a longtime friend of Ontario Premier Doug Ford. He also recently revealed internal OPP documents about a plan to customize a van for Premier Ford. Community Safety Minister Sylvia Jones said Blair was fired for releasing confidential OPP information in a letter to the ombudsman, a breach of his oath as the force's deputy commissioner. "He released confidential, private information for his own personal gain," Jones said Monday afternoon. About an hour earlier, Jones had told reporters she did not know why Blair was fired. 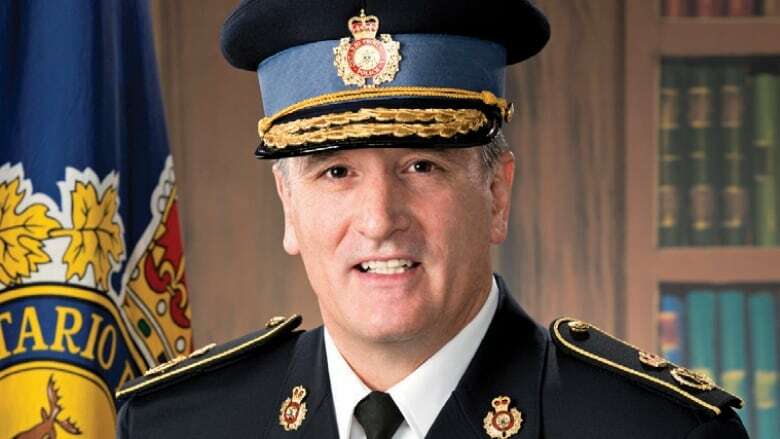 The PCs say the decision to fire Blair was made by Mario Di Tommaso, the deputy minister of Community Safety and Correctional Services after consultation with interim OPP commissioner Gary Couture. The firing was approved by the Public Service Commission. Di Tommaso wrote in a memo on Friday that he had recommended the termination to the Public Service Commission because Blair had contravened "his legal and ethical responsibilities as a deputy commissioner and senior public servant." 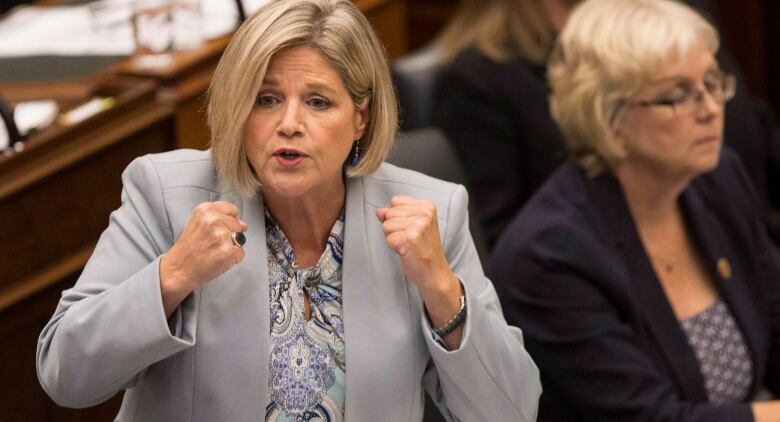 Opposition NDP Leader Andrea Horwath has suggested Blair was fired for speaking out against Taverner's appointment. 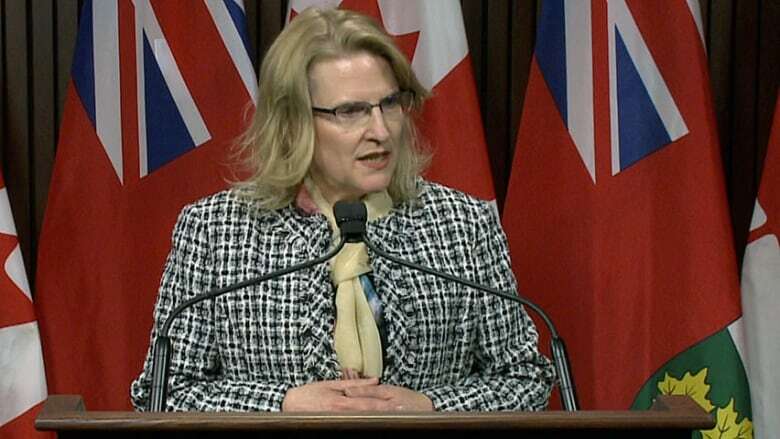 "It's a chilling day in Ontario when a well-respected OPP deputy commissioner who dedicated his life to this province is fired for standing up for the integrity and independence of our provincial police," Horwath said. "It was a brave thing for this person to do, to come forward, and it looks like that bravery has lost him his job." Liberal MPP Nathalie Des Rosiers has also asked the chair of the legislature's justice committee to call Di Tommaso to testify. In response to accusations of interference, Community Safety Minister Sylvia Jones said the decision was made "independently of the political process." "I will not be commenting, nor should anyone else on private HR issues," she said. Jones later told reporters the decision was made entirely at the discretion of the Public Service Commission and the OPP. She said any accusation that her government influenced the firing was "categorically false." "I wasn't asked for my advice, if I agreed with the decision that was made. [The Public Service Commission] made the decision to terminate," Jones insisted amid repeated questions about accusations of political interference. However, Jones did not say who initially launched the review or investigation into Blair's performance, only that the Public Service Commission accepted the recommendation that Blair be fired. An interim incumbent will be identified by the ministry. In addition to his request to Ontario's ombudsman, Blair is also threatening to sue Ford, alleging that the premier damaged his reputation when Ford accused him of breaking the Police Services Act by speaking out against Taverner's hiring. Blair was in the running to be the OPP's next commissioner and briefly held the post on an interim basis. He was removed from that position shortly after launching his legal case. Meanwhile, Taverner's appointment has been delayed until the integrity commissioner completes an investigation. The veteran Toronto cop did not initially meet the requirements to be considered for OPP commissioner, but the job requirements were changed during the hiring process.